Manning Sewer Main – Yamabe & Horn Engineering, Inc. 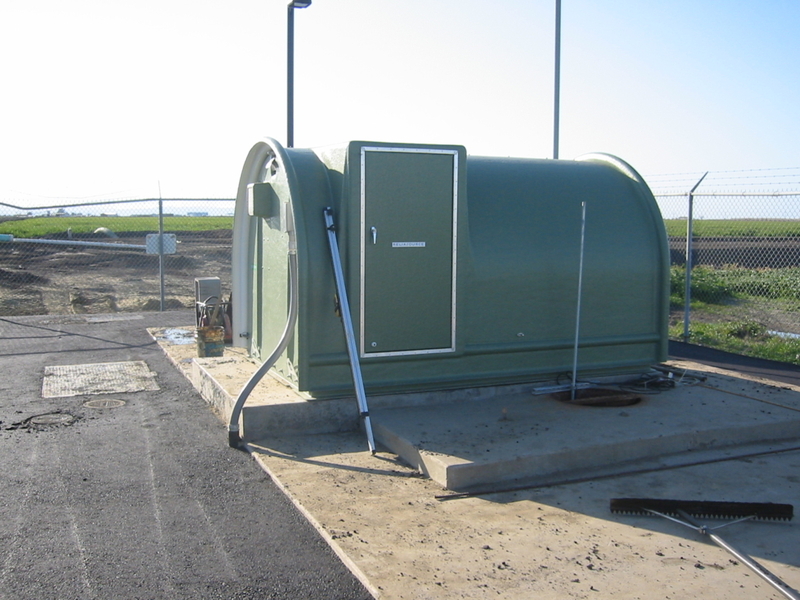 When the City of San Joaquin expanded their Wastewater Treatment Plant, Community Development Block Grant Program (CDBG) funds were obtained to replace a half mile of the City’s existing 16” VCP sewer outfall trunk main with a new 24” PVC main. The outfall trunk main conveys wastewater from the city to the Manning Avenue Lift Station, which forces the wastewater to the Wastewater Treatment Plant. The project also constructed improvements at the lift station site, including the replacement of the existing underground pump station with an aboveground pump station. For the lift station improvements and replacement trunk sewer projects, Yamabe & Horn’s responsibilities included preliminary engineering, design (including hydraulic design of the lift station), preparation of PS&E, preparation of CDBG bid documents, coordination with CDBG, contract administration, and construction staking coordination.